Fast and flashy racer style. 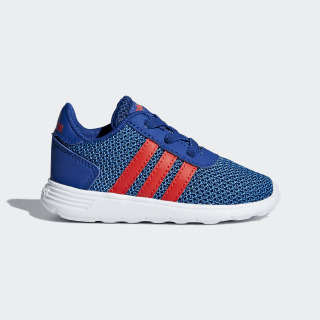 These infants' shoes show off a sporty design inspired by running sneakers. Made in two-tone mesh with leather-look overlays and easy elastic laces.